The town was first mentioned in historical sources from 1231, and it received its city charter before 1311. As a result of the Second Partition of Poland in 1793 it became part of the Kingdom of Prussia and was administered within South Prussia. After the Napoleonic Wars, the town was within the Grand Duchy of Posen and later the Province of Posen. It became part of the German Empire in 1871. In 1918 it became part of the Second Polish Republic. In 1938 the town’s population stood at 5,400 which included 360 Germans and only fifty two Jews. On the 27 October 1938 the Nazis began arresting Jews of Polish nationality in Germany with the intention of expelling them to Poland. 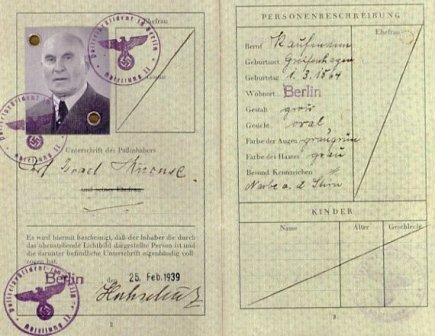 The Nazis took this decision was the issuing of a decree by the Polish Ministry of the Interior on the 6 October 1938 which called for the passports of Polish citizens residing abroad would have to be checked and revalidated. Those passports not re-validated by the 29 October 1938 would no longer entitle their holders to return to Poland. According to a report submitted by the Polish consulate in Opole (Oppeln in German) the German police came to the homes of the Jews at night to present them with the expulsion orders, forcing the Jews to get dressed at once and taking them to the Polish border which the Jews had to cross illegally. Those expelled in this manner had no time to arrange their affairs or hand over their businesses. When they reached the border the German escorts often fired shots into the air in order to frighten the Jews even more and hasten their crossing over the border. Expulsions took place all over the Reich, but the actions conducted by the police differed from location to location. Most often only the head of the family was expelled, but sometimes whole families were deported. The deportees were taken by train to the Polish border, usually in the vicinity of Zbaszyn and Beuthen. 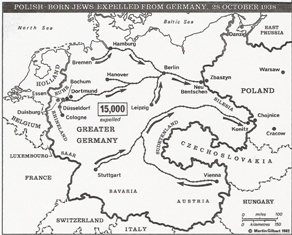 The Germans estimated that some seventeen thousand Jews were deported, but the precise figure may never be known. The action by the Germans took the Polish authorities by surprise, and some Polish consulates, such as the one in Frankfurt am Main advised its Jews to comply with the German orders, while other consulates tried to help in various ways. The Polish consul in Lipsk, Feliks Chiczewski permitted those destined for expulsion to take refuge in the building and garden of his office. In this way the expulsion of about half the Polish Jews in the city was foiled, according to German police estimates. 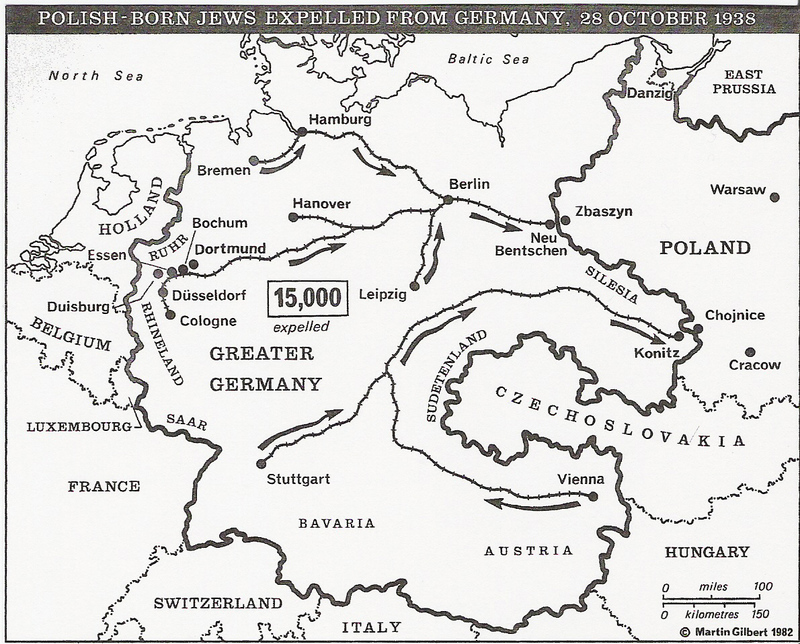 Local Polish authorities estimated the number of Jews expelled to the Zbaszyn district on the 28 and 29 October 1938 at 6100. Other estimates put the figure much higher as 12,000. The majority of those expelled from the Reich came by train, but large groups also arrived on foot, sometimes subjected to beatings as they were forced across the border onto Polish soil. When I reached the Region, I saw a large number of people, some people were sitting, some standing. People were crying, they were shouting, “Sign, Sign, Sign.” I had to sign, as all of them did. One of us did not, and his name, I believe, was Gershon Silber, and he had to stand in the corner for twenty-four hours. They took us to the concert hall on the banks of the Leine and there, there were people from all the areas, about six hundred people. There we stayed until Friday night, about twenty-four hours. 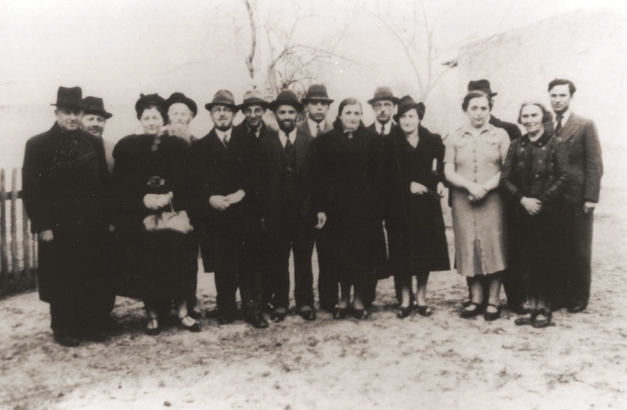 Jews with Polish citizenship being deported from Germany to Zbaszyn. After that, when we got to the train, they took us by train to Neubenschen on the German-Polish border. It was Shabbat morning, Saturday morning. When we reached Neubenschen at 6am there came trains from all sorts of places, Leipzig, Cologne, Dusseldorf, Essen, Bielefeld, Bremen. Together we were about twelve thousand people. The SS were given us, as it were, protective custody, and we walked two kilometres on foot to the Polish border. They told us to go – the SS men were whipping us, those who lingered they hit, and blood was flowing on the road. When we got to the open border- we reached what was called the green border, the Polish border- first of all, the women went in. Then a Polish general and some officers arrived, and they examined the papers and saw that we were Polish citizens, that we had special passports. It was decided to let us enter Poland. While at Zbaszyn, Zindel Grynszpan also recalled the Jews were put in stables still dirty with horse dung. A lorry with bread arrived from Poznan, but there was not enough bread to go round. Zindel Grynszpan sent a postcard to his other son Herschel in Paris, describing the horrors his family had experienced. 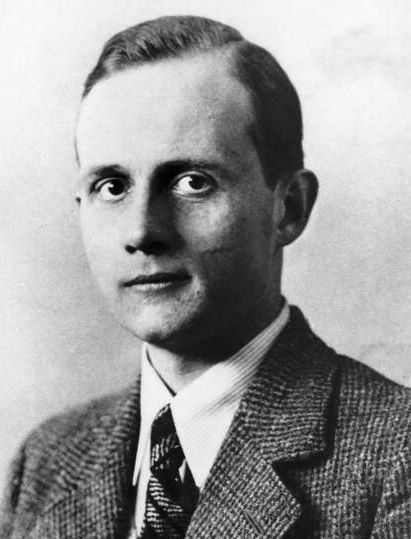 Herschel enraged about the treatment his family and others had suffered shot the German diplomat Ernst vom Rath in Paris. The Nazis used this as a pretext to launch the Kristallnacht pogrom, which saw synagogues and businesses burnt and looted, and Jews murdered or incarcerated into concentration camps. 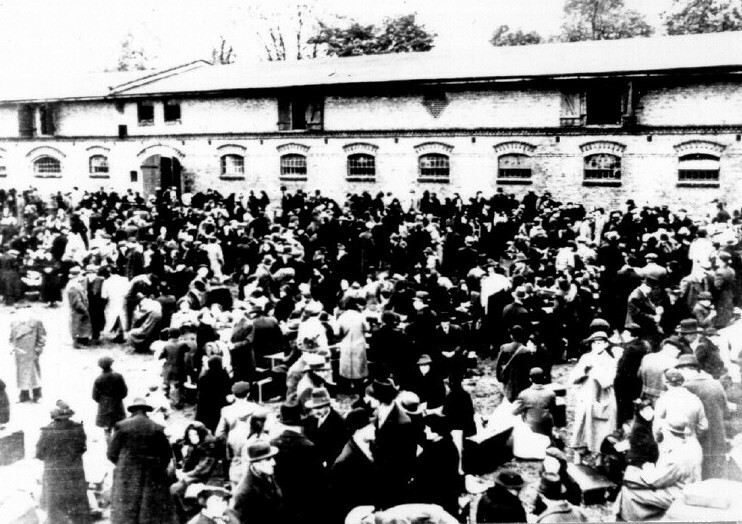 The deportees were only allowed to take ten Reichsmarks per person and no valuables or securities, so they were unable to travel further inside Poland, due to lack of funds.